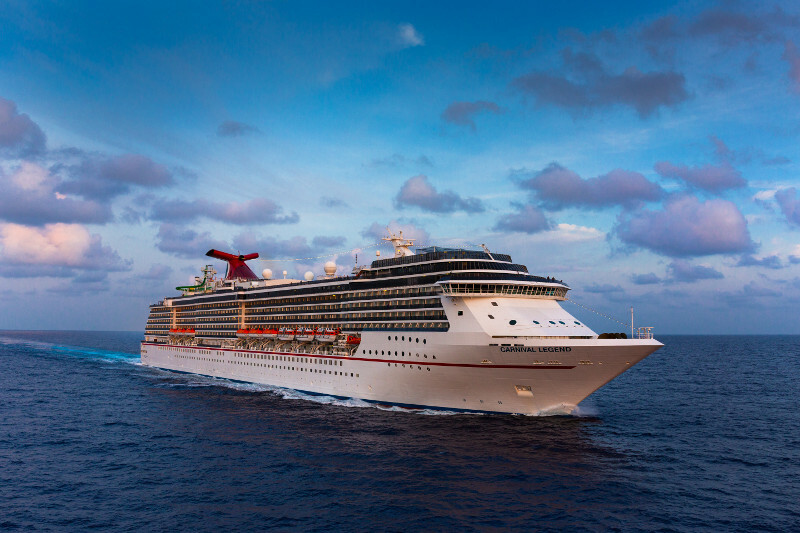 Carnival Cruise Line has announced that Carnival Legend will reposition to offer cruises from Tampa, Florida in 2019. This news comes as the Carnival cruise ship undergoes a major dry dock with new features and enhancements. The ship will reposition to Port Tampa Bay in 2019 after a busy seasons sailing from Australia and then Seattle on Alaska cruises. Carnival Legend will also offer longer Carnival Journeys sailings. She will begin her Tampa deployment on October 27, 2019 sailing 7-day cruises with calls to Grand Cayman, Cozumel, Mahogany Bay and Belize or Costa Maya. It get’s even better from Port Tampa Bay with the vessel offering a special 8-day cruises departing on January 25, 2020. The ship will do a partial transit through the Panama Canal along with visits to Limon and Grand Cayman. The Carnival cruise ship is also going to offer a one-time round trip departing Tampa on December 1, 2018. The ship will sail a 14-day Panama Canal cruise including calls in Cozumel and Limon (Costa Rica) and then a transit through the Panama Canal along with calls in Cartagena, Aruba, Curacao and Grand Cayman. The Carnival Legend will sail a series of Carnival Journey’s voyages in 2019. The ship will do this just before its new deployment in Tampa with a 9-day cruise in Alaska from Vancouver, a 16-day Hawaii cruise also from the Canadian city and a 15-day Panama Canal cruise from Los Angeles and ending at the ships new homeport of Tampa, Florida. The ship is undergoing a major renovation at a dry dock in Portland, Oregon. During the 2-week refurbishment, the ship is receiving the FUN 2.0 upgrades which can already be experienced on many other ships in the fleet. You can read more about the ships dry dock right here. The new features being added include Guy’s Burger Joint, RedFrog Rum Bar, BlueIguana Tequila Bar, BlueIguana Cantina. There are other updates too with Camp Ocean, marine-themed kids play area which is now on every Carnival ship. Also improvement to Circle C, a space for the older kids and updates to onboard retail. Once Carnival Legend is all shiny and new she will begin her summer 2018 season sailing Alaska from Seattle, Washington. In the fall and winter, the vessel will operate cruises from Sydney and Melbourne in Australia.